Like many other children, I had a creative side. But while I wasn't as artistic (didn't really enjoy coloring), I did have a fascination for engineering. 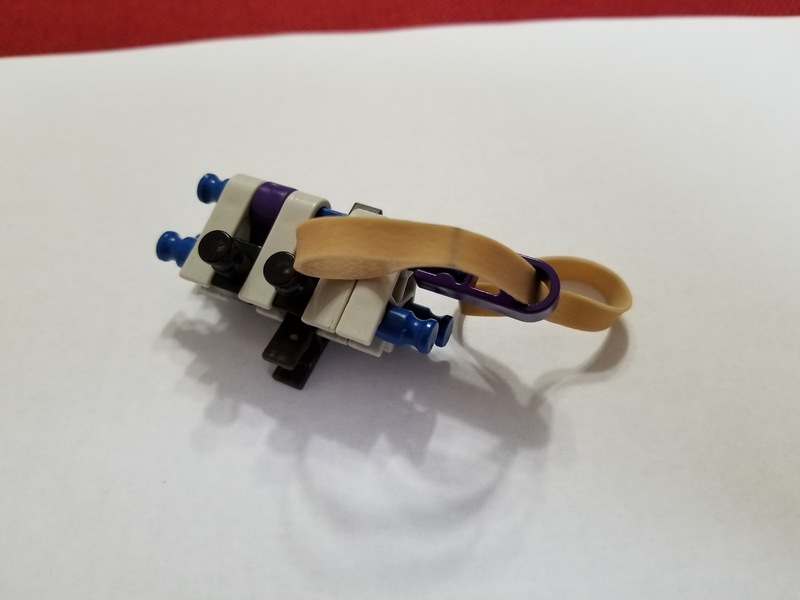 I recall as a toddler, I would put all of my toys together into complicated "machines" connecting all the electronics and anything that could remotely look like an Input/Output device with strings, tapes, straps, and wires. I also enjoyed building pretend pinball machines with the little knickknacks at my grandma's house. I simply enjoyed knowing how things worked, and I wanted to make things that worked too. That said, I was also a lazy kid, I didn't like working with my hands all that much (wait, I still don't...), I just liked coming up with ideas. 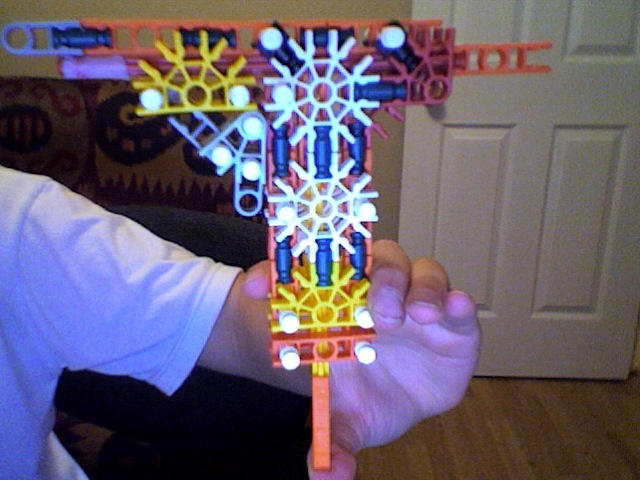 Naturally, K'nex made it much easier to build things without all the effort of crafting stuff out of raw materials. I also really enjoyed Lego. Fast forward to 2007, I had just started my freshman year of high school. 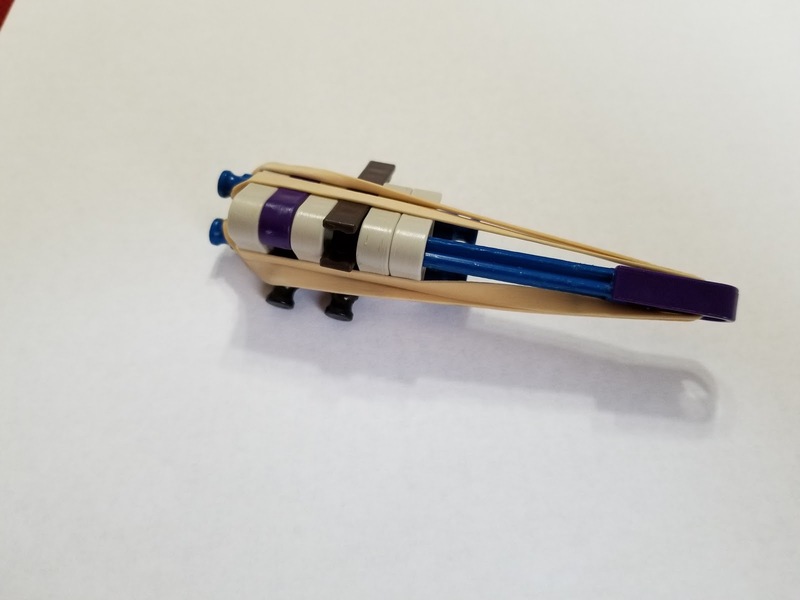 A little later on into the year, we had a transfer student who made projectile launchers out of pens and rubber bands. He managed to sell them for a couple bucks a piece, and I wanted in on that sort of money. So I began my search on the internet for office launchers. 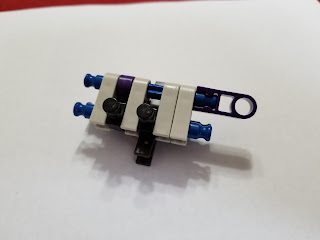 Eventually it lead me to Lego launchers on YouTube, which I found really interesting but sadly too complex for my skill level. But then I happened upon K'nex launchers on YouTube, and I recalled I had some pieces still. All of my toys from childhood were scattered in large tubs in a closet. I looked through some more videos to find something simple enough and then began searching for pieces in my tubs. The feeling of building my first launcher isn't something I'll ever forget. The beautiful thing for me was that I quickly learned that I could tweak my builds. 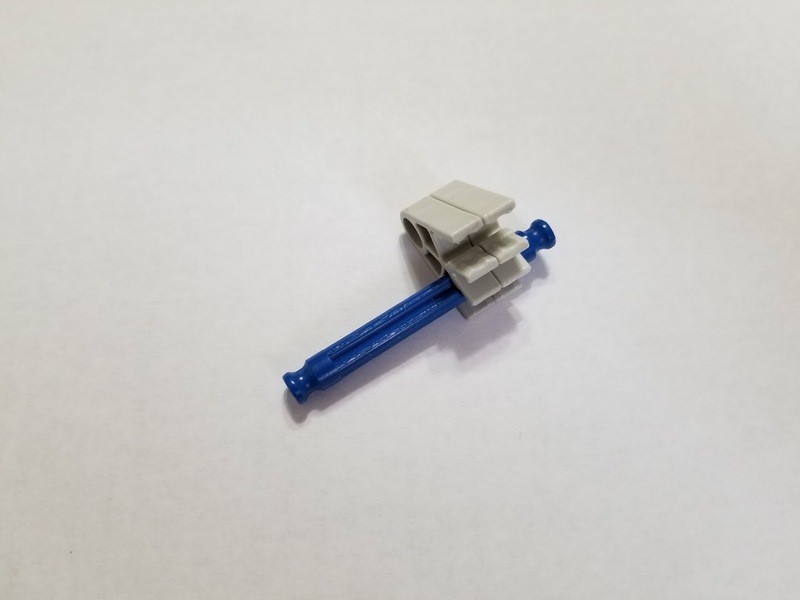 I had figured out the basic concepts (that we covered in yesterday's post) and started creating my own variations of simple tube launchers, coming up with more complexities along the way such as a rudimentary bipod and a really basic handle. The table I sat at for lunch in school was always a little rowdy. To start, they had used plastic utensils, and we discovered that you could bend the prongs on them until they snapped, in which they'd launch off a piece. We'd snap them under the table at each other. Some kids would also use those pen launchers I mentioned earlier. But then they'd often get caught since it was difficult to load, hold, and aim. I was amused that using a K'nex projectile launcher with a trigger, I never got caught because I could easily prime, load, and aim it discretely and fire only when I was sure no one was looking. The other kids complained and I even admitted to having the launcher on my person, but the lunch supervisor proclaimed that if she didn't see it happen, she couldn't get me in trouble. I happened upon Instructables sometime later that year. I had lurked on it for the most part, but by December I joined and started contributing with very amateur builds and discussion. I was a teenager after all, so most of my comments were probably very cringey. I sought praise and would continue trying to contribute to the budding community. "Mini-Uzi" I apologize for the blurriness, I had yet to acquire a good camera or the skills to use one. As you can tell by now, I had a thing for trying to replicate real firearms. I had just built someone else's Uzi-like launcher with a magazine in the handle and wanted to try out my own.I had designed two other pistols, one being my first YouTube video on a K'nex launcher, the "Mikoflare", and another mini-pistol I called the "Dingo" in a similar style. I had a few other designs too, but most of them were variations of the above three. I'll get into my better contributions in future posts. 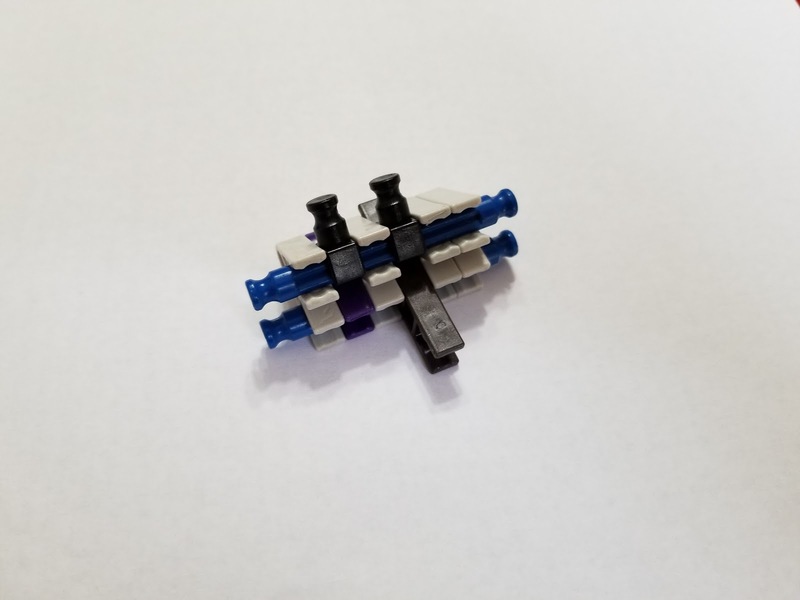 How did you guys get started in building with K'nex? Let me know in the comments. Hey, all. If you're already a veteran launcher builder, forgive me as I'm focusing on new builders today. And if you are a new builder, grand, glad to have you here! This is both a guide and a set of instructions. Guides and instructions will be appropriately labeled. If you're interested in learning how to build launchers, I suggest you filter by the "guide" label and follow them in order from oldest to newest. I'll show you how easy it is to jump in and work your way up to more complicated builds. Today's build is based off a launcher I saw on YouTube when I first started building. I honestly don't remember the creator or where this video is now, so if anyone knows, do let me know so I can properly credit them. I take no credit for this design. We're going to dive right in and get right to building. Afterwards, I'll explain some of the basics to help you understand the fundamentals of projectile launchers. In the future, I will break steps up and have more thorough descriptions, but this build should be easy enough I'm just going to trust that you can follow along with the pictures. I will label the individual components for referencing later. Just to note, this is designed primarily for right-handed people. If you're left-handed, mirror the steps to build a left-handed version. Congratulations on finishing your first launcher! It's that simple. 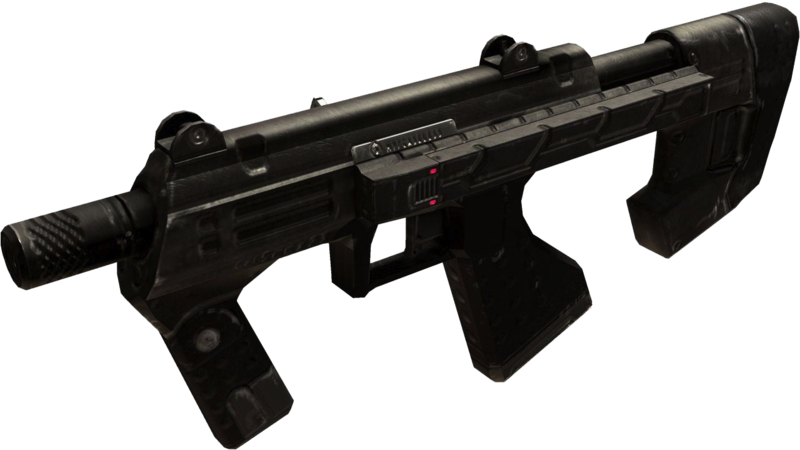 Now, before we get to firing it, here's an obligatory warning not to point this at anything you don't intend to shoot, living things especially, even if it's not currently loaded. I don't assume any responsibility for any damage you may cause. Pull back the striker carefully so as not to pull it out of the back. If the band is setup right, the sear should automatically block the striker. Put your thumb against the side, resting on the "Y" connectors if you have them. Squeeze your thumb down and your finger in to rotate the sear out of the way and fire. Alright, I hope you're excited to already have your first launcher built. If you're content to follow instructions, that's as far as you need to go. But if you want to build your own launchers in time, then I suggest you learn some of these concepts so you can figure out how to apply them yourself. 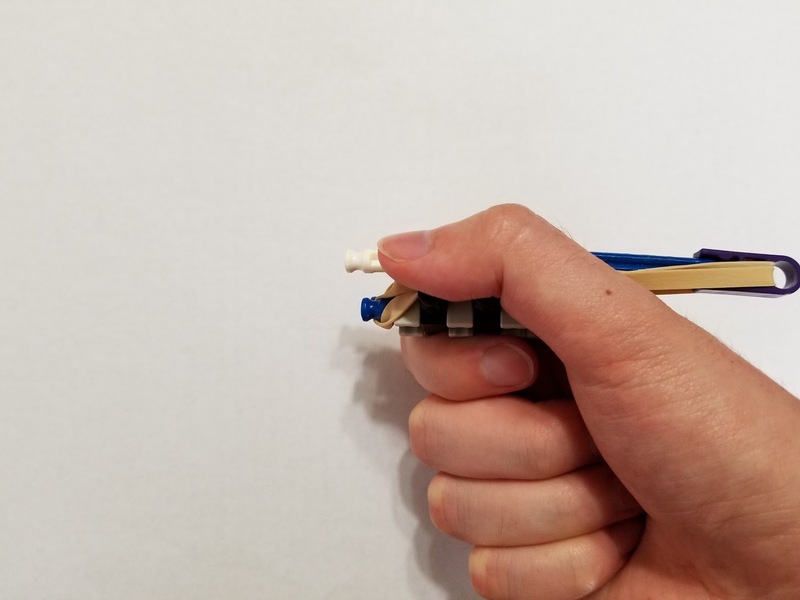 Striker - This is named so because it strikes the projectile to launch it, and it's one of the simplest and most common ways to launch a projectile with K'nex. Fundamentally, it's just a rod, a connector, (on stronger launchers) shock absorption, and rubber bands to give it energy, and then it's held back by some sort of sear. Note, you may hear others refer to it as a "firing pin" or "bolt" but those terms aren't quite accurate. Striker guide - This is simply a section of the launcher that guides the striker. Will discuss this in greater detail in future posts. 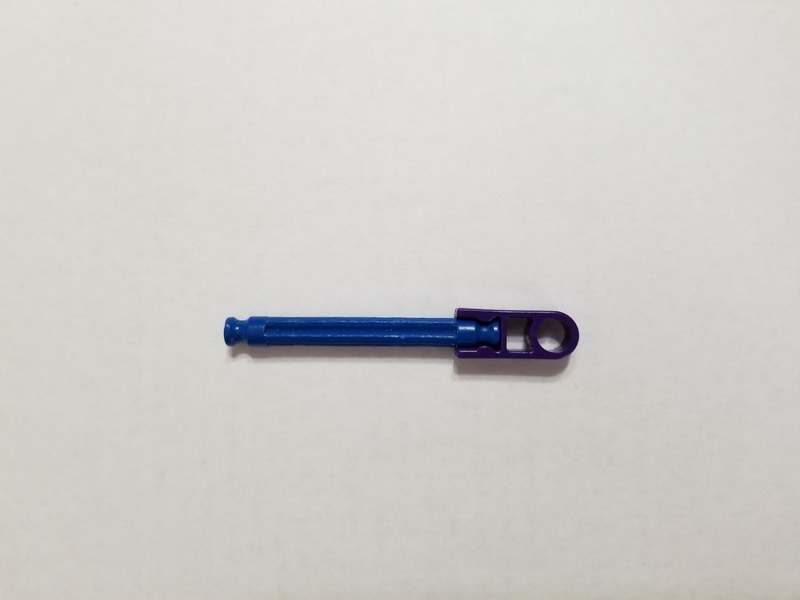 For this launcher, we used one of the simplest methods of putting connectors together so their holes form a tube to contain the striker. Sear - The sear is the part that holds the striker back. This can be done from either the front or the back of the striker, but typically it's done from the front by blocking the rod. Trigger - This is the part that you pull to disengage the sear. In the case of this gun, they're the same piece, you directly rotate the sear out of the way. 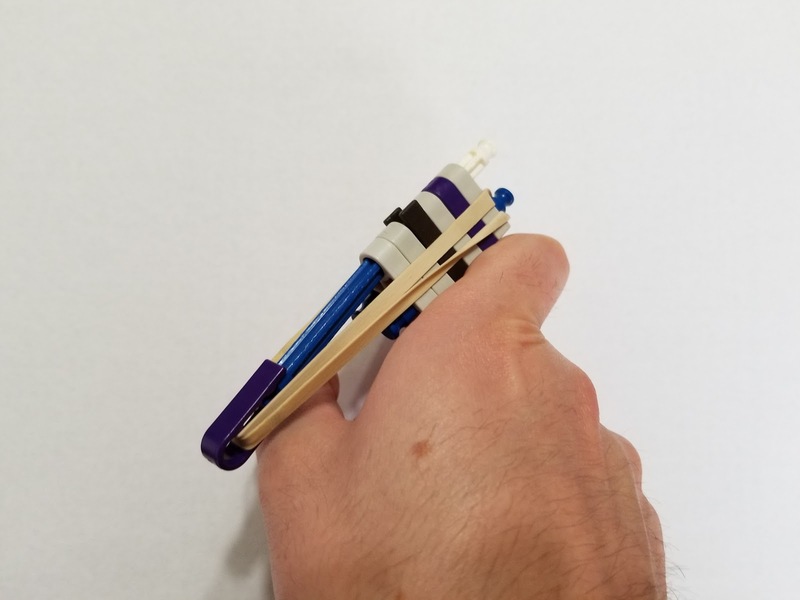 Others refer to this as a "block trigger" and it's the simplest way to make a striker-based launcher, but not very ergonomic. 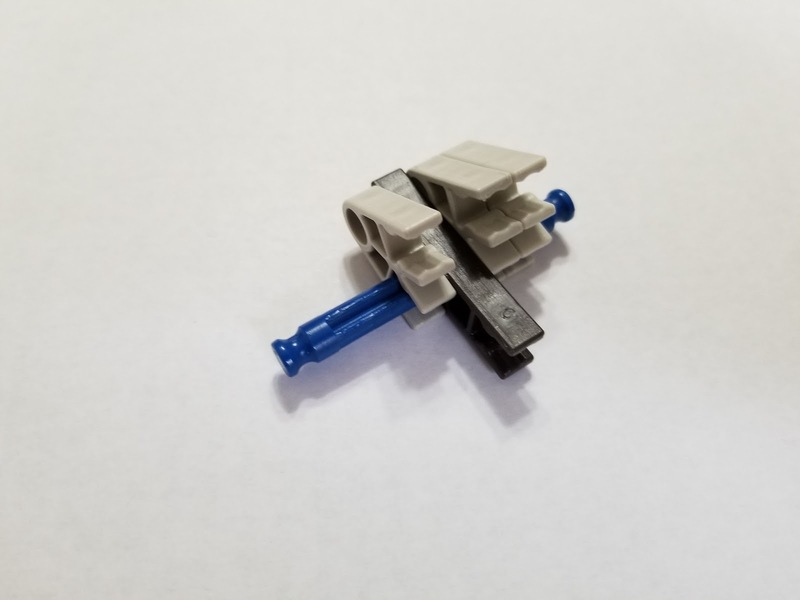 Part of the challenge of a builder is making a good trigger-sear combination that is both strong enough to reliably keep the gun cocked but comfortable enough to pull to fire. 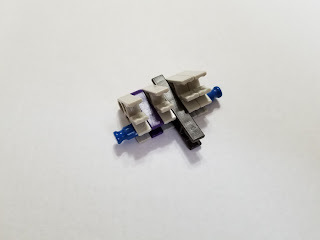 We won't be using block triggers long, but they suffice for now. Chamber - This is where the projectile is held. The action of loading a projectile is called "chambering" and there are different methods we'll cover in the future. This is a muzzle-loader, like ye olde muskets, where you stick it in directly in front. 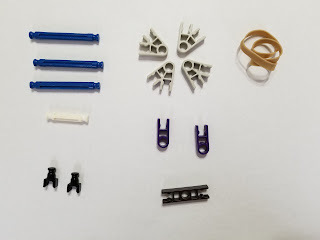 Like the striker guide, one of the simplest ways to make one for launching rods is to put a bunch of connectors together to form their holes into a tube. Projectile lock - Finally, this is a slightly more advanced concept but it's worth mentioning; for a muzzle-loading launcher, the projectile could just fall out the front if we didn't have a way to secure it in the chamber. 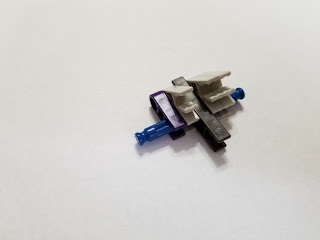 In the case of this launcher, the single-slot connector is slightly misaligned with the two-slot connectors, causing just enough friction to hold the projectile in. 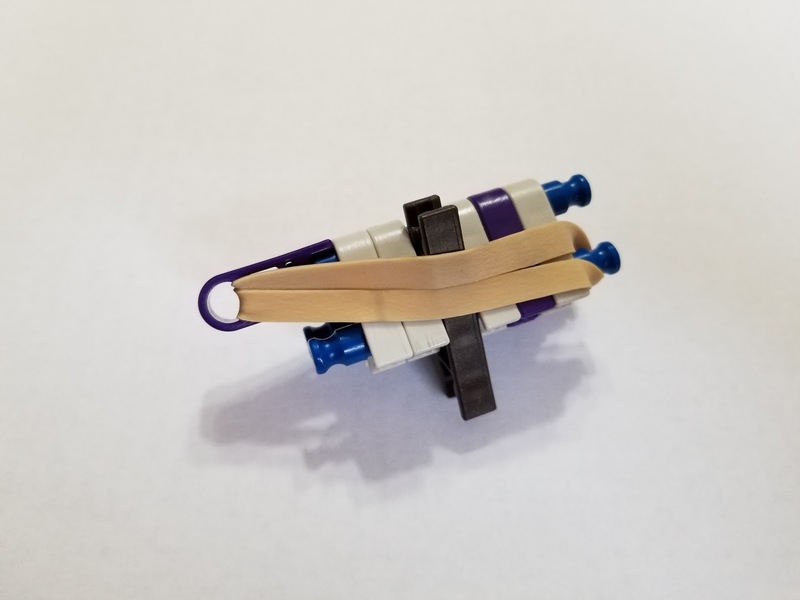 This works for now given how small this build is, but we'll come up with better ways in the future. That's it for now. I hope you're motivated to come back and see what else you can learn to build. Hey, all. First off, if you're reading this, I appreciate that you took the time to come here. While we all have varying levels of passion for building with K'nex, I hope either yours is already strong or that I might help you find more, and that you can contribute to our community in time. So what is K'nexpression? 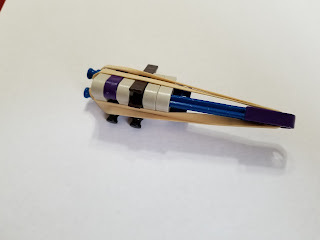 Long story short, it's a place where, as a builder, I want to engage with and help establish more of the K'nex community, specifically the projectile launcher community. While there exist smaller communities on other sites such as YouTube, Reddit, and independent fan sites, they tend to be inactive or perhaps more focused on other areas of building. 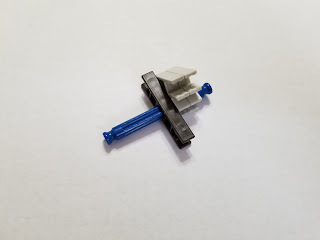 Sadly, the community for K'nex projectile launchers has been dwindling and scattered about. 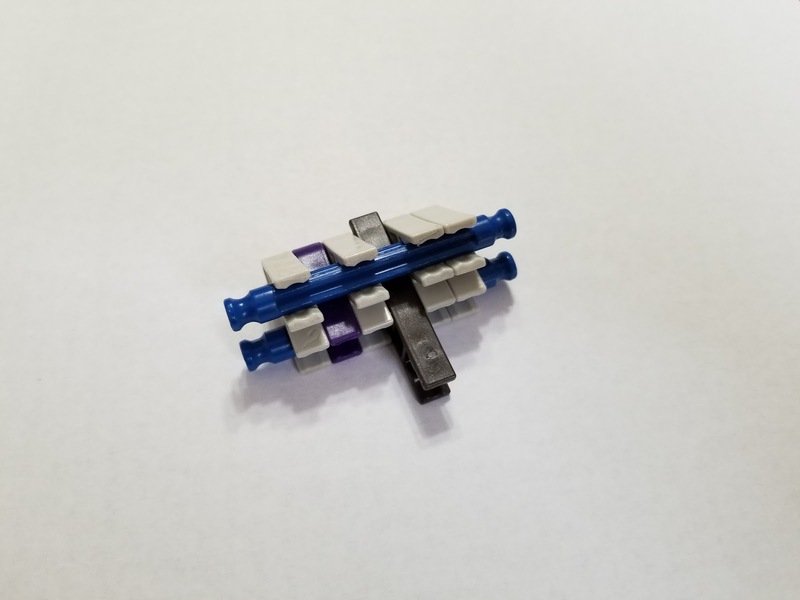 I'd like to drive interest into the hobby again by providing a place to discuss the hobby and provide guides and instructions to help new builders jump in. Eventually, I hope to develop this site into something more than just a blog. And who am I anyway? While I don't mean to act like any big hotshot worth noting, the one thing I can brag about is having been a part of the community for a while. I started on Instructables back in late 2007 under the user "TheDunkis". 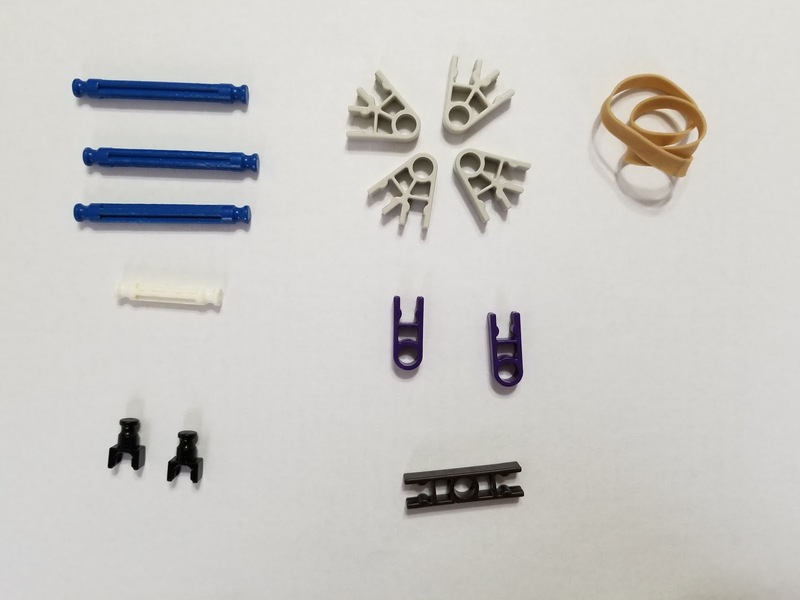 For those unfamiliar, Instructables is a website for posting instructions on DIY projects, which naturally attracted some K'nex builders to utilize it, creating a fairly strong community for several years before it started dying off. 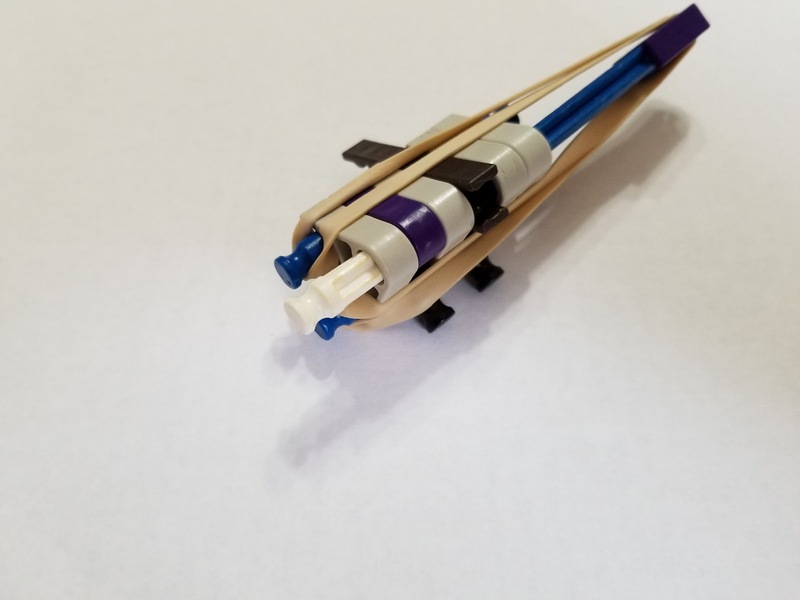 The first projectile launcher posted there was on June 7th, 2006 by user "(your name here)", so while I was a year and a half late to the party, I wasn't too far behind and would stick around until this very day, not giving up the hobby. I've created my fair share of builds that we'll discuss in future posts. I'd also like to go over the history of important developments in K'nex projectile launcher building. That's all for today. Thanks again for stopping by. I hope you'll stick around. In my next post, I want to show anyone new to building projectile launchers just how easy it is to get started with a simple build that'll take only 13 pieces and a rubber band.